Welcome to “The Lightning Man” Web site. Hello, my name is James Insogna, thank you for stopping by! Bo is my nickname, I am based in Boulder County, Colorado. I’ve been chasing lightning storms since the late eighties, over twenty years. Back then we were shooting film. It’s amazing how much has changed and also how many people have taken up this exciting Storm Chasing adventure catching lightning storms on camera. When you see and catch that first image, you can get hooked very easily. Bo’s work has been purchased from collectors all over the world and have been featured on the front page of Fine Art America, Imagekind and Redbubble. Images have also appeared and been featured on Television, Magazines, Newspapers, Books and licensed for all kinds of media. If you are interested in or looking for a good human interest story your readers or audience will love, images and stories are always available. Also if you would like to use or license one of the images on the site or in a gallery Contact me with the use of the image for a price quote. There are shots that have been worked on for many years just to get the storm to be in the right place at the right time… and even more … me being in the right place at the right time. My gear is always ready to go and when the crack thunder sounds, it is my calling to get out and chase a storm. In other words when everyone is running inside ( and you should) it is out the door into the thick of things for me. It is more than just getting a shot of a lightning bolt… it is about getting an interesting shot of lightning. Please make no mistake, it is extremely exciting to catch some lightning bolts on camera and is even an incredible rush… but it can be extremely dangerous. So if you decide you want to be a “storm chaser” be aware of your surroundings and have the right gear. There have been a few times all the hair on my body stood up and I knew there was a charge building, there have also been many situations I have crawled out of. When the Budweiser Storm images happened, that was a chase that almost took me from Boulder County to Wyoming. At the start of the photo shoot: First, the remote on the camera would get hit. Next, I would jump in the back of the SUV with my feet off the ground with comfort of four rubber tires for safety. It was the most erratic lightning I’ve ever seen. Scary stuff. You could not tell where the bolts were going to hit next. Front of you, behind you or on top of you! So safety is always number one. “A Season Of Lightning” by Troy Ruiz May be used for reprint. Download a FREE copy here. If you click on the gallery button on top it will take you to all the images. Check out the Lightning gallery. Again thanks for taking the time to check out the site and images. Biography: Bo Insogna was Born and grew up in Pittsburgh PA. Bo studied with the New York Institute of Photography. He Started his photography career 1984. He opened a studio in Boulder Colorado downtown on the Boulder mall. Shooting for local newspapers, magazines, Skiing, Bicycling, models portfolios and some commercial work. In 1987 the economy got bad in Boulder so he decided to make a move to Scottsdale Arizona. Once in Arizona, He became a staff photographer for the Phoenician Arabian Horse Magazine doing the covers, inside lay outs and a two page spread called Bo Trek. In the late 1980’s – 1990’s he was a respected member of the Arabian Horse Community in Arizona, chosen to photograph champions, riders, trainers and owners. From the first Arizona lightning monsoon season, Bo very quickly became a Lightning Storm Chaser. 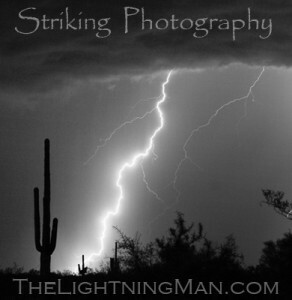 www.Striking-Photography.com, www.ArizonaLightning.com and aka www.TheLightningMan.com was born. A very fun, exciting and dangerous job! 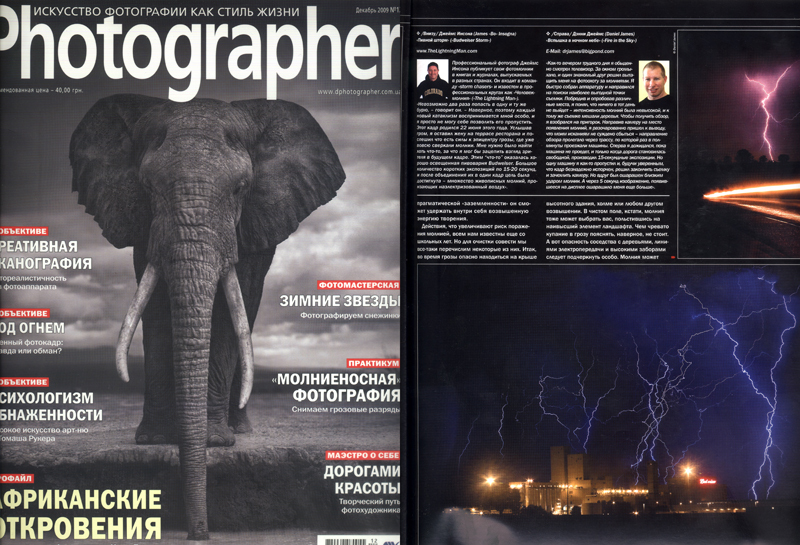 Since 1987 he has spent many years pursuing elusive lightning storms spanning miles of natural desert. It takes great dedication, courage and desire to grip a metal camera upon a metal tripod astride mountain peaks with lightning crashing mere paces away. His prints reflect the courage and passion he feels for his art. 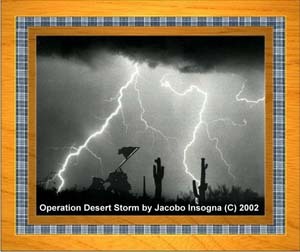 In 1991 The VVA honored him by choosing his Photograph “Operation Desert Storm” as the official print of the Arizona Desert Storm Memorial Fund. The men and the flag represent the “Operation” and the Victory and Liberation of Kuwait. The Saguaro represents the “Desert” and the men and women who served in the Gulf. The Lightning represents the “Storm” and the Air War with swift, precise strikes. Twenty years after leaving Boulder, Bo decided to relocate his family back in Colorado. He settled in West Longmont almost to Hygiene, Boulder County. His Images can be seen in and bought signed at the Art Mart Gallery and Gifts, downtown Boulder mall on Pearl Street in the old Art Cinema across from the court house. (they just moved down a block from a 20 year location). As well as showing his Lightning Nature Images, Bo is shooting for stock agencies and specializing in family Photography, Portraits, Headshots, Pets, Portfolios, Real Estate, Commercial and events. If you would like to set up a shoot or assignment please contact Bo at 303-834-2524 or toll free 1-888-682-0122.